Oxford originally had two railway stations, the Great Western Railway through station on the Didcot to Banbury line, which in a much modified form is still in use today, and the London & North Western Railway (later LMS) terminus. This was closed to passengers in 1951, with all services transferred to the adjacent GWR station. Goods traffic lingering on until 1984. Even though a largely prefabricated design, the building was quite impressive, and acquired grade II listing. 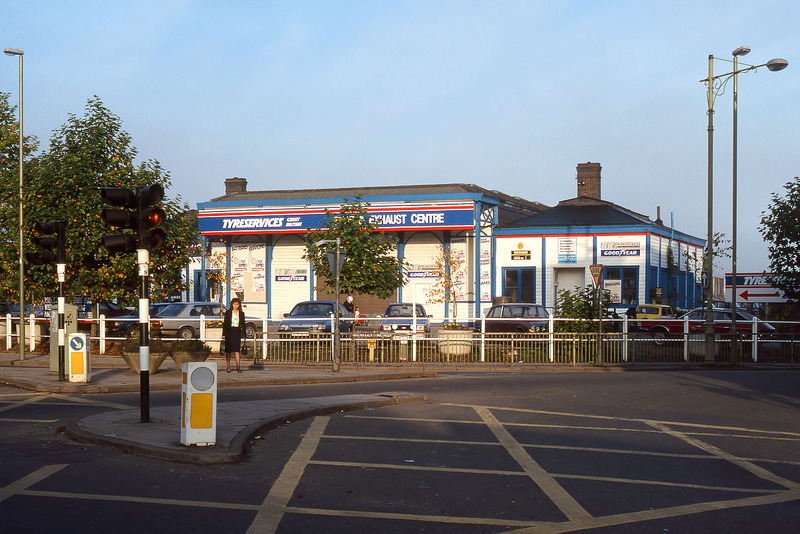 It is pictured here on 21 October 1988, over a decade before the building was dismantled and transferred to the Buckinghamshire Railway Centre at Quainton.